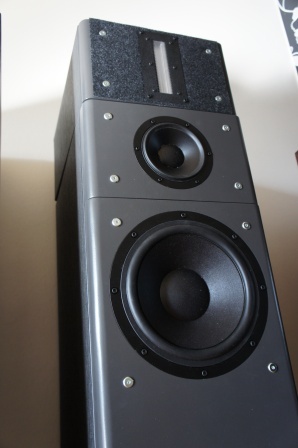 Bowers & Wilkins 685 review! Read full article |Comments Off on HiFi Show Report! Sequence Three – Grand Reference Construction Update5! It’s time for a short update on the ”Sequence Three – Grand Reference” construction! Unfortunately the build has progressed slowly because I’ve been busy with other designs, but I did a lot of measurements during the Christmas holidays and I have now done some cross-over simulations. The two cross-over simulations below are two prototypes that I will actually build, test and evaluate before proceeding further with the build. 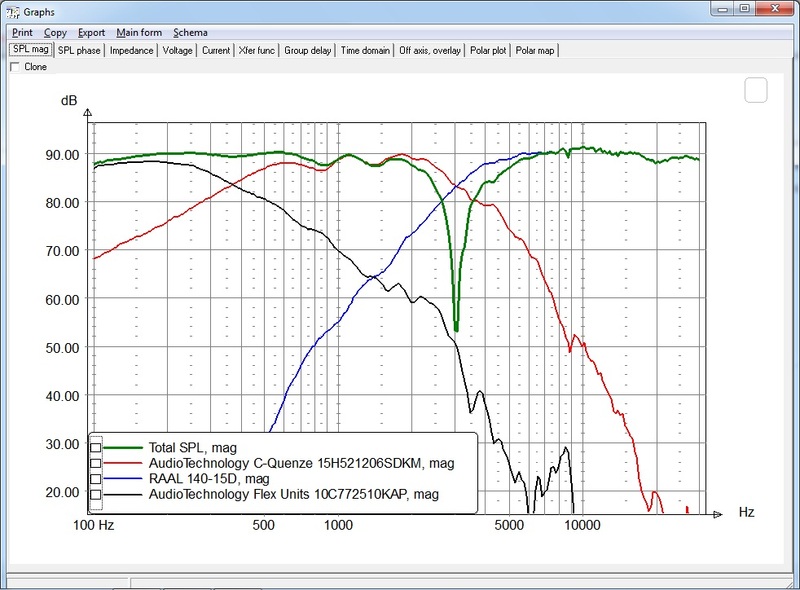 The frequency response isn’t spliced with the near-field measurement and the response is valid down to approximately 270Hz. The cross-over schematics doesn’t contain any component values because I don’t want to publish them in the first prototype. The values will probably change anyway and the schematics are only shown to get a general feel of the complexity of the cross-over. 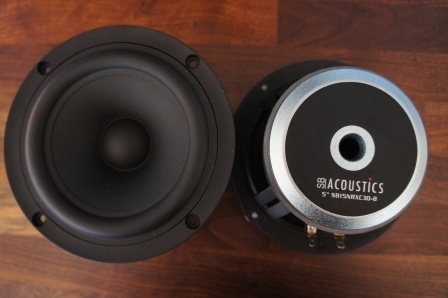 Right: Tweeter height @ 15deg off-axis, tweeter-mid reverse polarity. This is a hybrid cross-over with a second-order Linkwitz-Riley (LR2) filter topology between the woofer and mid-range and a fourth-order Linkwitz-Riley (LR4) filter topology between the mid-range and tweeter. The cross-over frequencies are 350Hz (LR2) and 3000Hz (LR4). The C7 cap is optional and is used to raise the tweeter response above 15kHz. The same thing can be done by changing the position of the ribbon “foam deflection” pads. 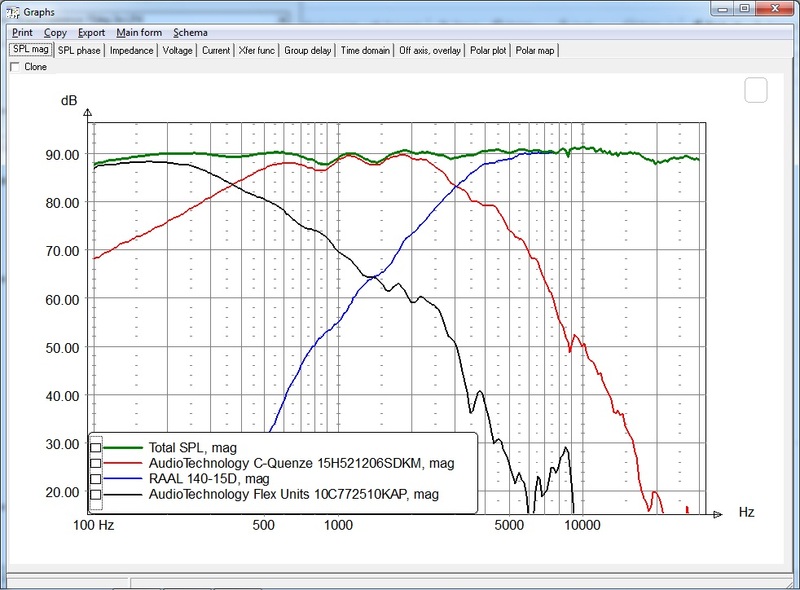 The R1+C1 is a response shaping circuit for the woofer and the R2+L2+C3 is used to flatten out the mid-range’s sharp impedance peak @ 75Hz. 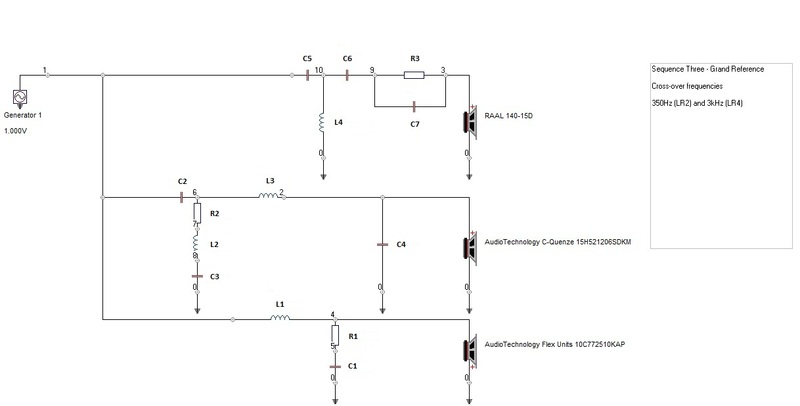 Both these circuits are needed in order to hit the targeted LR2 topology slopes. Note the woofer reverse polarity! This is a cross-over with a pure second-order Linkwitz-Riley (LR2) filter topology. The cross-over frequencies are 350Hz (LR2) and 3200Hz (LR2). The R1+C1 is a response shaping circuit for the woofer and the R2+L2+C3 is used to flatten out the mid-range’s sharp impedance peak @ 75Hz. R3+L4+C4 is a response shaping circuit for the mid-range. All these circuits are needed in order to hit the targeted LR2 topology slopes. Even though the RAAL ribbon is extremely robust, this shallow sloped filter will most likely not work since the tweeter isn’t attenuated enough at lower frequencies, at least not at higher listening levels. 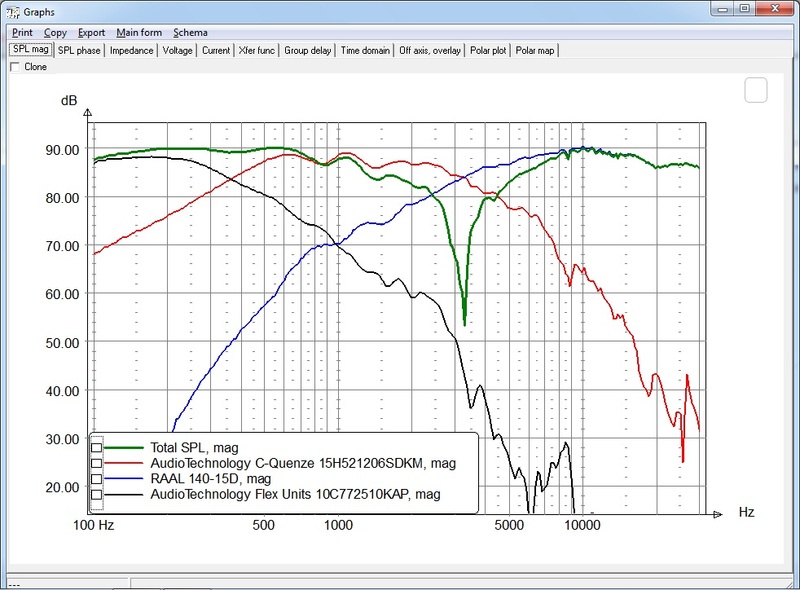 With the LR4 filter the tweeter is down -35dB @ 1kHz and with the LR2 filter it’s down about -20dB, which may not be enough, but the LR2 filter is interesting and will be evaluated and compared against the LR4 prototype. As can be seen in the cross-over schematics the mid-range doesn’t have any resistor in series for attenuation. If it works out, it’s great news being able to avoid any sound degrading resistors in the signal path. The mid-range frequency response ripple @ 900 and 1.5kHz will be investigated further and part of it is likely some back wave reflections from the box stuffing. Note the mid-range reverse polarity! Read full article |Comments Off on Sequence Three – Grand Reference Construction Update5! 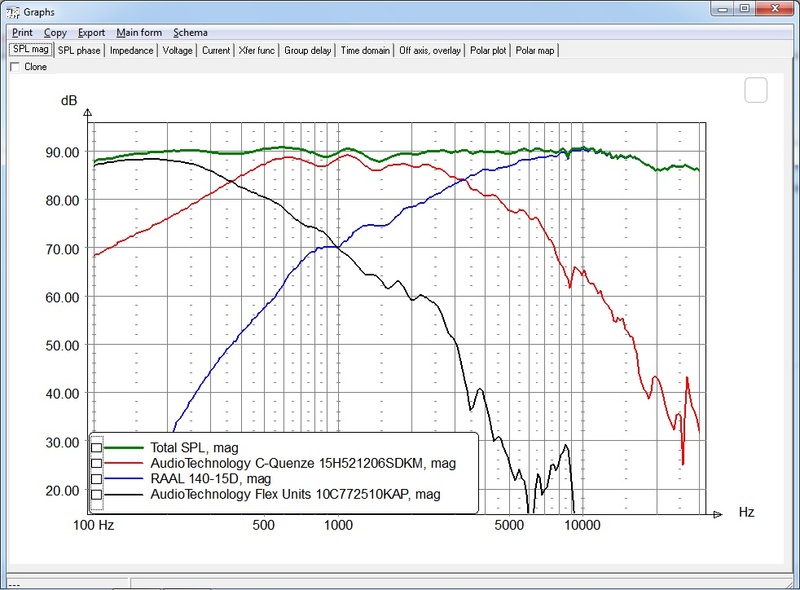 I’ve updated the T/S parameter section with the official specification sheet for the “Satori” MW16P-4 mid-woofer. SB Acostics SB15NRXC30-8 driver units! 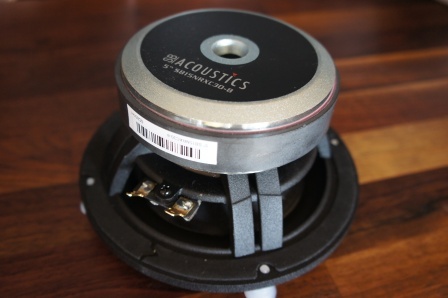 This time I have the SB Acoustics SB15NRXC30-8 driver unit on the test bench. 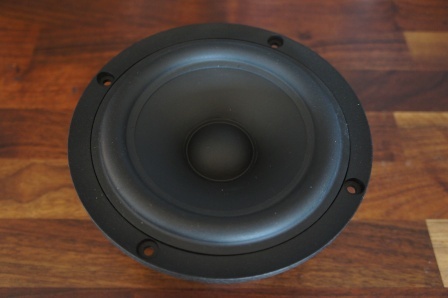 This is a 5” mid-woofer with a nice and sturdy build quality, especially considering its modest price of 55$. 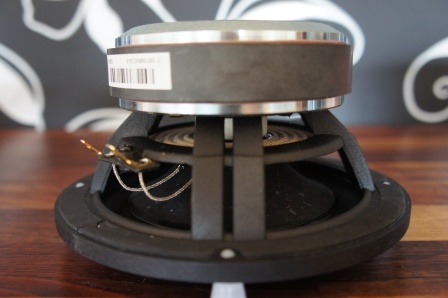 The mid-woofer has a 30.5mm voice-coil with a healthy 10mm (p-p) linear coil travel. It has a very low voice-coil inductance and is fitted with a copper sleeve on the pole piece to ensure a low distortion performance. 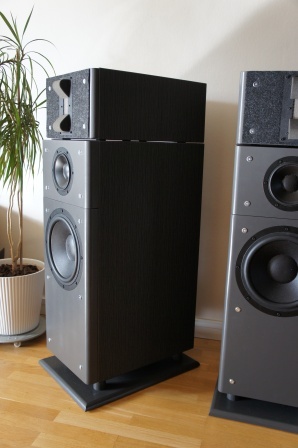 At this price range, quite impressive features that SB Acoustics managed to fit into this mid-woofer. The four driver unit samples are from two different manufactoring batches. At this price range not much to complain about. 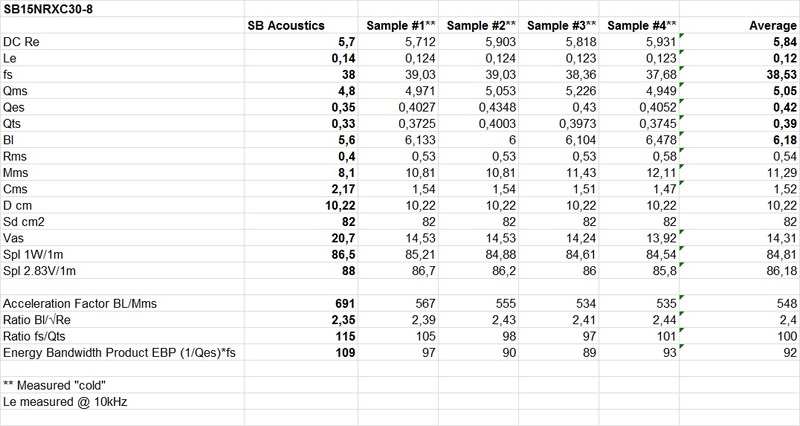 Good consistency between the driver unit samples and it matches the official spec sheet reasonably well, with a higher Mms and lower sensitivity compared to official specs. 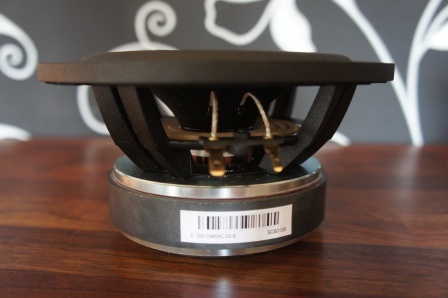 The mid-woofer has a low “fs” for its size and has a high mechanical Q-factor (Qms) and low mechanical loss (Rms), which ensures chances of good dynamic bass performance. Note the very low inductance. 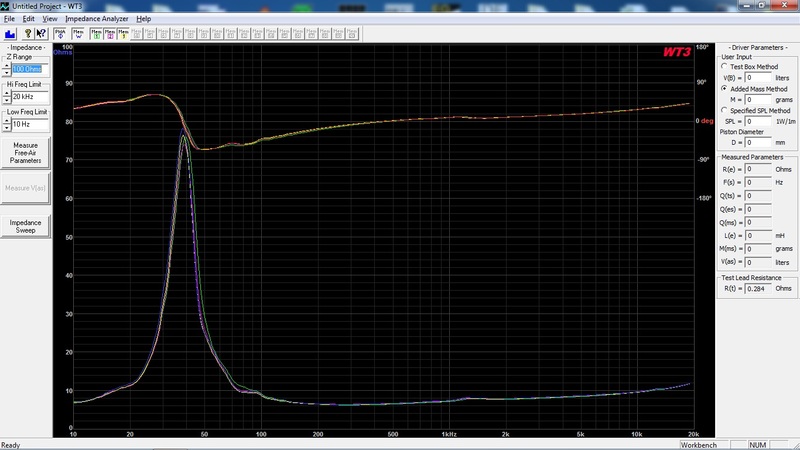 Impedance minimum of 6.3Ω @ 300Hz. 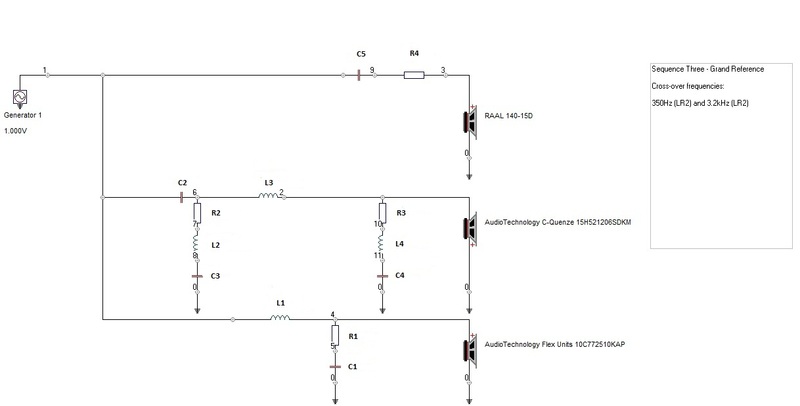 Frequency and distortion measurements will follow soon…..
Read full article |Comments Off on SB Acostics SB15NRXC30-8 driver units!